Noisy Radiators Giving You A Headache? Let us help. Noisy radiators giving you a headache? We’ve created this 5-minute guide to help you figure out what the problem is, so you can fix radiator noises today. Below we’ve covered running water noises, whistling, banging and hissing noises. We’ll explain what they mean, and what you need to do to fix them. And as a side note. Whilst some will cost some money to fix, none of them are terminal to your heating system – good news! Before we carry on. If you want a heating engineer to take a look, you can book a quote here. If your problem is a radiator that has a loud running water noise, it’s likely limescale and radiator sludge build up. Basically, it’s dirty water that’s circulating in your radiators. Over time, this “dirt” attaches itself to pipes, radiators and valves. When water circulates, the running water you hear is due to water hitting into the sludge and then the side of the radiators and pipes. We’ve created a quick guide on solving problems with noisy heating pipework here. To do this, you’ll need a hot-flush, or power flush. If you’re using a heating engineer, we’ve covered how much a power flush costs here. A scale reducer will collect limescale, so your radiators don’t make noise. It’s only needed in moderate-hard water areas. Check if that’s you, on this map. A boiler filter will catch some limescale, rust, and general grime; which is what central heating sludge is. Make sure you ask your engineer to clean it out with every boiler service. This chemical breaks down rust and grime, so your scale reducer and boiler filter can catch it. If there’s one particular radiator where you can hear a running water noise, it might be time to replace it. Limescale and sludge can be hard to remove if it’s years old. This is similar to kettling coming from a noisy boiler. Rather than sludge and limescale, this is almost always limescale build-up. If you’re on a moderate-hard water area on this map this is the most likely cause of a radiator whistling. The limescale creates hotspots on your radiator. In turn, that overheats sections of the radiator. If the radiator drain valve isn’t closed properly, the whistling noise will be coming from there. If you’re hearing clicking, tapping, knocking or banging from your radiators, the most likely problem is an airlock in your heating system. Buy a bleed key (a few £) and open the valve (located on the side of the radiator). You’ll hear a hissing noise. When this stops, the radiator will start dripping. This signals that all air has been released. Close the valve back up. Do the same with all radiators and towel rails in the house. There’s two likely causes for a noisy radiator making a hissing noise. There’s a pinhole leak, and the pressure is forcing air or water from the rad. The bleed valve is slightly open. A pinhole leak on a radiator has likely come from limescale hotspots, and they are usually on the back of a radiator. If you hear hissing from a radiator, check for damp patches. Radiators are not particularly expensive, so the fix, is to get a new one fitted. If the bleed valve is slightly open and hissing, leave it open until the hissing stops. This means all air has been removed from the heating system. Once it stops hissing, close the valve using a bleed key. Still got problems? Speak to a heating engineer and book a quote here. 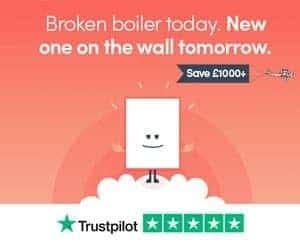 Or, checkout our guide to common boiler faults here. Or, if you have questions relating to noisy radiators, leave a comment below and we’ll get back to you as soon as possible.